Nugget Point is a pretty spectacular place. 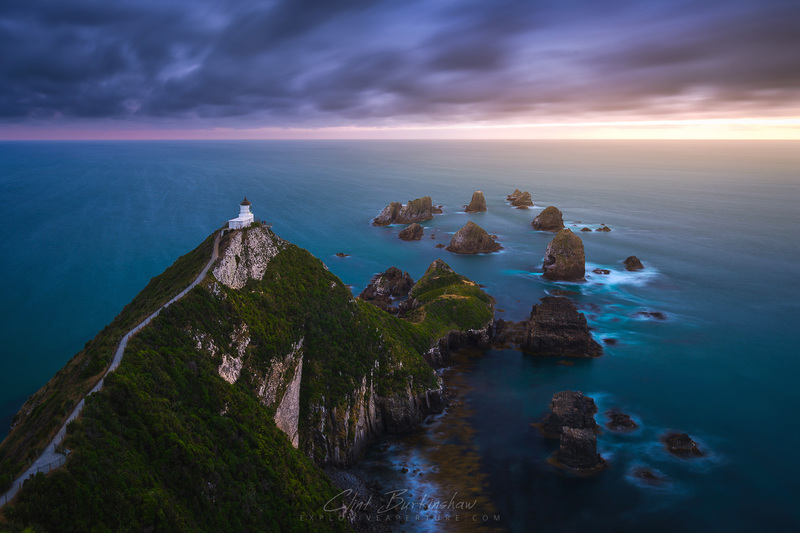 Not only is there a scattering of islets (the nuggets), and a lighthouse perched right on top of a high point overlooking the entire scene, it’s home to Fur Seals, Penguins and a variety of Sea Birds, all of which you can hear the chatter from above. Definitely worth going out of your way for. I would love to go sometime. You should – it’s pretty cool! 🙂 Make sure you visit the west coast too. Some really nice stuff there. You have some of the most beautiful pictures I’ve ever seen. I’ve done photography work for years and you far are my superior. Hi John, That’s so nice of you to say. Thanks so much!! I never really know whether or not my work inspires anyone, so to be honest, I continue doing it because I love process from capturing the scene, to processing it, to presenting it. To hear that it inspires someone such as yourself really makes my day.